The weekend: Sunday involved a beach, two Mini-Tonics and a bestie (aka the brains behind DAN300). I constantly pinch myself, as we live just a 5 minute walk (if that) from one of the most beautiful beaches in the world... At around 7.30am every Sunday morning, I walk-slash-run 8 laps of it, before jumping into the ocean pool at the South end. Yes. The best things in life are free, people! I'm wearing: Bassike dress (buy it here) - mine is a Large, Dior sunglasses, gold Jennifer Zeuner necklace from Eclektica (buy it here), cap from Raised by Wolves. The hot gloss: Or should I say, thee hot gloss. Remember Clinique Black Honey? Yeah? Anyone? Well that just-eaten-berries shade of lip perfection circa 1990 is now get-able in the form of Lanolips "Mulberry" Lip Ointment. I've been wearing it on my morning beach walk-slash-runs. It has just enough colour, without being tooooo much for exercising in. Trust me, this one is a ripper! PS Don't forget to check out the Lanolips blog - TT made it onto their Christmas Gift Guide! Eeeek! The salad: Cannelini beans, yellow capsicum, toasted pine nuts, capers, lemon zest, garlic. Dress with a dash of olive oil and a squeeze of lemon! The gift: Tomorrow, Mr Tonic and I will have been married for nine years. NINE. How that is even possible, I have no idea. Feels more like... four. Alright, five max. And I have to show you what my parents bought us (hands up who worships Dinosaur Designs). Isn't she special? Thanks Mum and Dad! The recipe club: How cool is this - Australian Good Taste have formed an online "Heirloom Recipes Club" as a place for you and me to share our Christmas family recipes! But it’s also a site to house all types of family recipes, so you can share yours and keep those precious recipes alive. So, gather your beloved family recipes, snap a few pictures and upload them to the site. 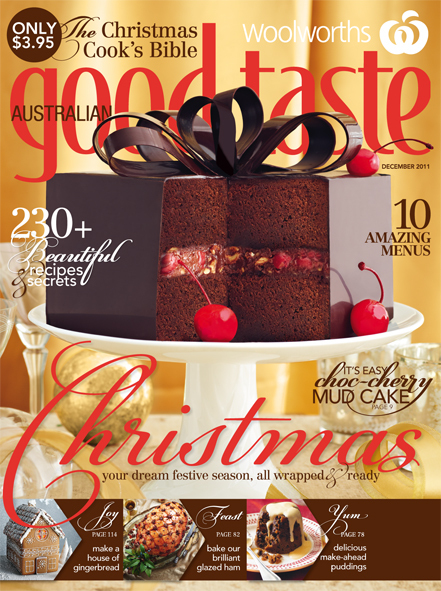 Oh, and then read all about it in December Australian Good Taste mag (below)! 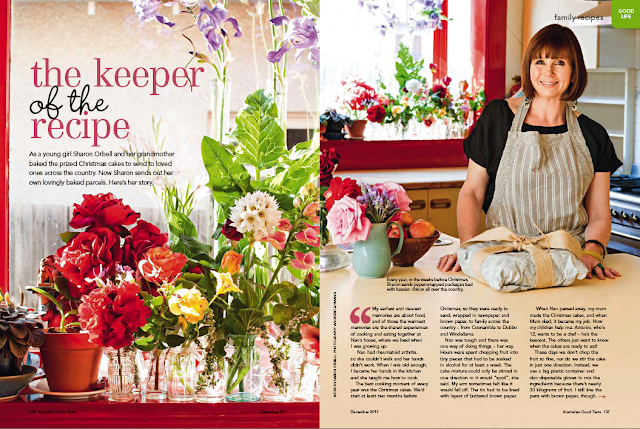 Photography: Andrew Lehmann/Australian Good Taste. The deal: You all know how much I love Simplicite anything, and from now until 11th December, when you buy any two Simplicite products (at selected Myer stores around Australia) you'll receive a third free (same or lesser value than the lower priced item)! How good is that?! And PS If you're looking for a killer body moisturizer? Consider it found! The sale: All good things must come to an end, including tabletonic.com.au's storewide sale. The good news? 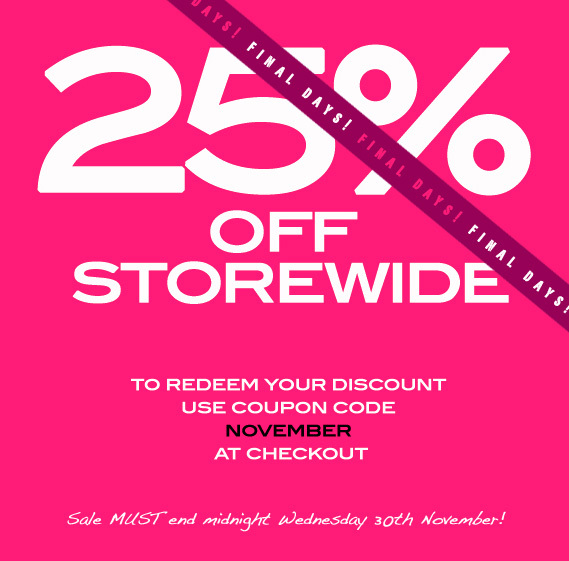 You still have until tomorrow night to colour your world (and save 25% in the process)! Click to shop! you are an expert on this subject. Well along with your permission let me to grab your feed to keep up to date with coming near near post. with Search Engine Optimization? I'm trying to get my blog to rank for some targeted keywords but I'm not seeing very good success. give a contribution & help different users like its helped me. teachingand entirely explained, keep it up all the time. speak about such subjects. To the next! Best wishes!! Your way of telling the whole thing in this article is truly fastidious, every one can simply understand it, Thanks a lot. Wow! This blog looks exactly like my old one! It's on a completely different subject but it has pretty much the same layout and design. Great choice of colors! Right here is the right website for anyone who would like to find out about this topic. on a daily basis. I'd like to start a blog so I can easily share my experience and thoughts online. Please let me know if you have any ideas or tips for brand new aspiring bloggers. Thankyou! here to return the prefer?.I'm attempting to to find things to enhance my website!I guess its good enough to make use of some of your ideas! !